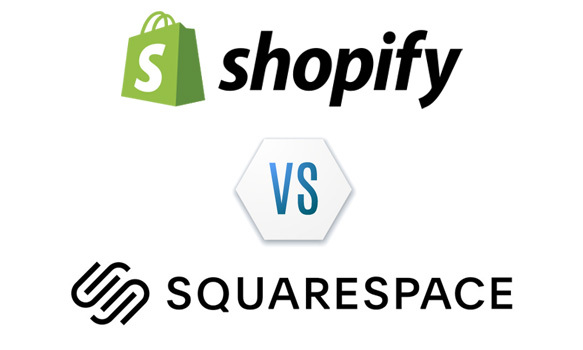 Shopify vs Squarespace | April 2019 | Who's #1? Shopify vs Squarespace – Who’s #1? Chances are, if you’re reading this page then you’re thinking about building an ecommerce store—and you’re probably comparing Shopify vs Squarespace. While both platforms are awesome and do really cool things, they also both have different strengths and weaknesses—and it’s important to understand what these are so you can make a good, informed decision about which one is right for you. You may have seen other pages on other websites that compare Shopify and Squarespace. But honestly, most of those pages are just trying to push people into whatever tool is paying the most in commissions at that point, with is pretty sketchy if you ask us! Yes, if you buy one of the tools from a link on our page we might earn a tiny commission, but we’re upfront about that and hate biased reviews. At Instructify, our goal is to help teach people how to build the best websites possible—not earn commissions off of shady reviews—so you can jump into our guide on Shopify vs Squarespace and feel good knowing the information here is unbiased, accurate, and honest—so let’s get started! Comparing Shopify and Squarespace: What Are Your Needs? This is really the first and most important question to ask when it comes to determining which sitebuilder is right for you. So…what are your needs, really? Do you want to build an ecommerce store to sell a physical product, or are you just looking to build a personal blog? There’s a huge difference between Shopify and Squarespace when it comes to what they’re good at, although there’s a lot of overlap too. When Squarespace was originally created, it was designed to be a website builder, but not an ecommerce store builder—this is important. Shopify, as the name suggests, was created from the ground up to be an ecommerce platform and is therefore a bit more robust (and cheaper) when it comes to ecommerce sitebuilders. Think of it like this—sure, you can race a family sedan—in fact, there are some family sedans that are pretty fast, but they’re not going to perform the same way as a purpose-built racecar, right? Well, Shopify is that racecar. Using the same analogy, sometimes you just want a family sedan, right? 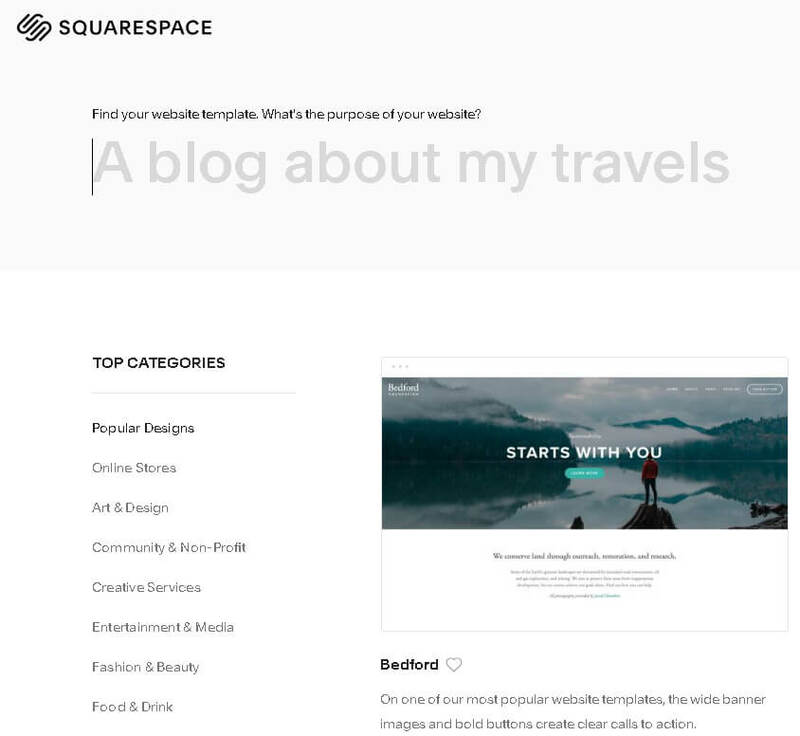 If you just want a beautiful website or blog, but don’t really care about the ecommerce side as much, you’re probably better off with Squarespace as their templates are top-quality and a little bit more geared toward personal websites. But what if you want a personal website with a small section where you sell a few things? Honestly, you don’t need a sitebuilder for that…your best option would be WordPress with an ecommerce plugin for the pages you want to sell something on. That said, if you had to pick from Shopify or Squarespace in that situation, you’d probably want to lean toward Squarespace. Think of it this way: Shopify is the racecar for ecommerce—it’s built to do one thing—ecommerce, and it does it very well. Squarespace is more like the fast family sedan—it’s more geared to a personal website, but it can do ecommerce. With that said, let’s look at some of the strengths and weaknesses of each one. 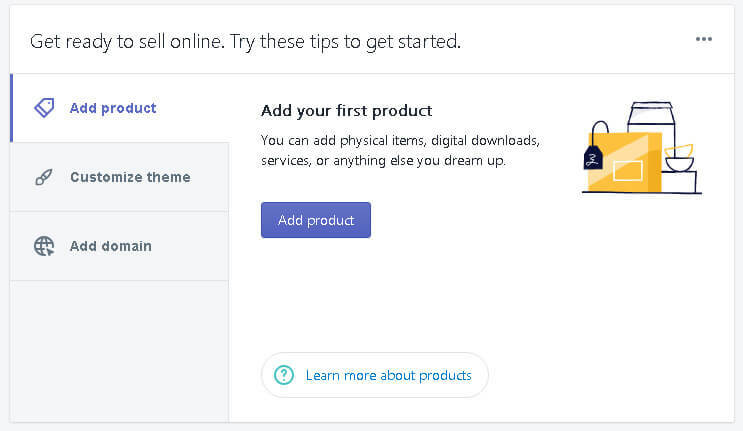 Just looking at a few bullet points with their feature sets, it’s pretty easy to see that Shopify basically has everything that you need to set up and run an ecommerce store. Yes, they do allow the option of setting up a blog on the site, but the main focus of the site is an ecommerce store. This means that if you’re not looking to host an ecommerce website—you should most likely avoid Shopify, but it you are, it’s the way to go. This is important because it’s good to understand what you’re getting into, and the level of technical expertise that may be required from you. With a self-hosted site (which in our opinion is usually the best way to go), you’re going to have to do a bit more, and be willing to learn more. This isn’t for everyone, and that’s why sitebuilders have become so popular; you can build a site like you’re creating a Word document, and be on your way. They’re easy for people to understand, and to use, and Squarespace represents the pinnacle of sitebuilders. So, if you’re looking for your own site and don’t want ecommerce, and don’t want to learn much HTML, coding, or mess with hosting, then Squarespace is the way to go. Again, this is mainly because they have beautiful website templates and don’t require much technical knowledge, but because they specialize in these things, their ecommerce offerings are a bit lacking when compared to Shopify. In most decisions, pricing is a big factor for people—especially if you’re trying to get started with a small ecommerce store and can’t spend hundreds of dollars a year on top-tier ecommerce hosting. For people who are looking for an economical way to host an ecommerce store without much fuss, Shopify is probably the best way with Squarespace providing a nice alternative. When it comes to the difference between packages, it really comes down to do gift cards and third-party shipping discounts, as well as reporting. Also, the better plan also has lower transaction fees for credit card processing, both online and in person. If you’re just getting started, you’re probably ok with the Basic Shopify plan or the Shopify (middle) plan. Those are more than enough to get your feet wet and get started. However, if you’re an established ecommerce business and you’re looking to move platforms, then you may benefit more from the Advanced Shopify plan where you can get reports and other features that you may need from doing that kind of volume. The big takeaway here in terms of Shopify vs Squarespace pricing is that while Squarespace seems cheaper at first glance, Shopify gives you a lot more when it comes to building an ecommerce store. Again, if you’re really serious about ecommerce then Shopify is the way to go. If it’s just something that you want as an addon to a website where maybe you sell the occasional Etsy-style craft piece every now and then, you may want to consider Squarespace. The great thing about both Squarespace and Shopify is that they come with a 14 day free trial, which means that you can test each one out for a considerable amount of time (half a month) and see if it makes sense for you and what you’re trying to accomplish. Free trials are excellent because they not only allow you to test a system for free, but they also allow you to get a feel for the backend and the interface. When the comes to building a site, there’s a lot more to consider than just features and pricing—you need to see how it actually feels to use the interface. This is important because if you’re going to be spending a lot of time on a sitebuilder and working with it frequently, you want it to be something that’s easy to use and something where the user interface makes sense to you—and a free trial is a great way to test this out. BigCommerce and Squarespace are sitebuilders just like Shopify, but again, Shopify is still more or less the king of the hill here. BigCommerce pricing is very similar to Shopify, but at a slight discount and their network isn’t as robust in terms of offering some of the features, and Squarespace has obviously been covered in this comparison quite a bit. WooCommerce is a little different because it requires you to host your own website and run WordPress as a CMS, however, when you run your own website you have complete control over everything and it can also be cheaper than Shopify or any of the site builders with just as many features. The downside is that there is more management and work that needs to be done—whether or not it’s worth it is up to you. The biggest alternative to Squarespace in terms of an ecommerce solution is Shopify, and that’s really the best choice if you’re looking for an ecommerce sitebuilder. In this situation, BigCommerce and WordPress are also alternatives to Squarespace. If you’re looking for a pure sitebuilder and don’t care about the ecommerce aspect of it, then you may want to consider WordPress as a first choice, and then possibly Wix as an alternative sitebuilder just for building websites that aren’t focused on ecommerce. 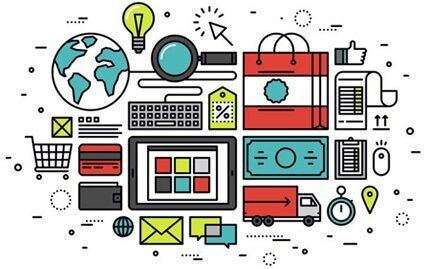 When it comes to Shopify vs Squarespace, there are really two things to consider here: do you want an ecommerce-dedicated website, or do you want a normal website with a little bit of ecommerce? It’s really not even close with Squarespace in this category. If you want the best of the best for ecommerce—Shopify is the way to go. Just looking at the objective facts, features, and their reputation—it’s hard to find a way to deny that Shopify is the #1 service in this category. When you want a website with a small ecommerce section of just a website, Squarespace is the way to go because they are a little bit cheaper and have templates that are designed to be regular websites without the ecommerce side of things. 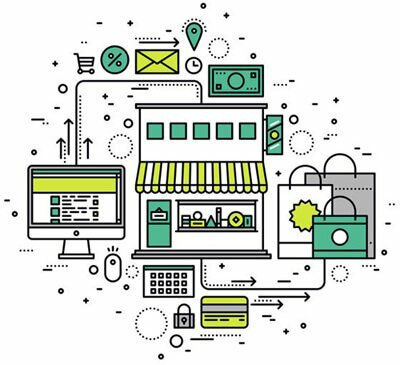 In our opinion, Shopify is the king if you want to do any amount of ecommerce, so take a moment and check them out!